Word up, fam! We’ll be taking a stroll down memory lane in today’s intraday charts update ‘coz we’ll be checking up on our old setups on CHF/JPY and GBP/NZD. Of course, we’d be lookin’ for fresh setups as well. 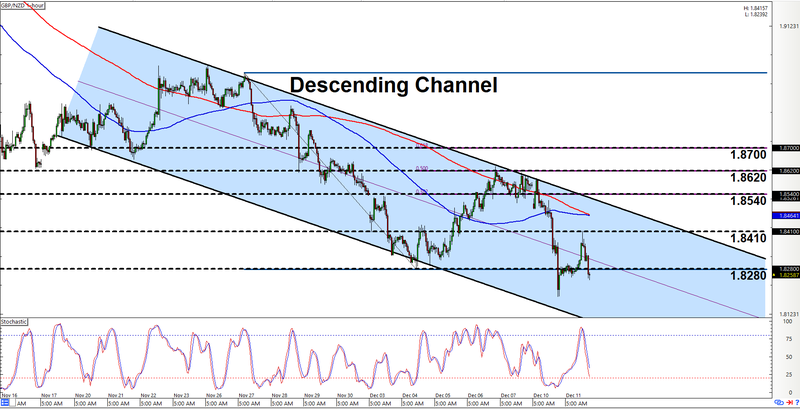 If y’all can still recall, we discovered that there ascending channel on CHF/JPY’s 1-hour chart way back on December 5. Back then, the pair was bouncing off the channel’s support at 113.00 and we were lookin’ for a chance to go long. And, well, the pair moved back down to retest 113.00 then moved higher for over 150 pips. And if you were able to ride that, then give yo self a pat on the back. Anyhow, the pair currently just about to touch the channel’s resistance. And since the channel is still intact, and since stochastic is already moving back down, today’s play is therefore to wait for the pair to move back down towards the channel’s support just above 113.00 and then start looking for opportunities to go long again. However, do note that there are areas of interest along the way at 113.70 and 113.40, and either of those price levels may potentially act as support, so just keep that in mind. And as usual, do keep in mind that there’s always a risk for a downside channel breakout, so just be ready to bail yo longs if the pair moves lower past 113.00 on strong bearish momentum. And if pair keeps moving lower after that and takes out 112.50, then y’all may wanna think about switching to a more bearish bias. If y’all still recall, we had a Fibonacci retracement setup on GBP/NZD’s 1-hour chart way back on December 6. In fact you can still see them Fibonacci levels in that there chart. Anyhow, we were waiting for resistance to form either at 1.8620 or 1.8700. And as y’all can see, 1.8620 served as resistance and the pair moved lower for over 400 pips. And if you were able to catch that strong downswing, then congratulations. Aww, yeah! Anyhow, if take the most recent price action into account and connect the most recent peaks and troughs, we can see that a fresh descending channel has formed. 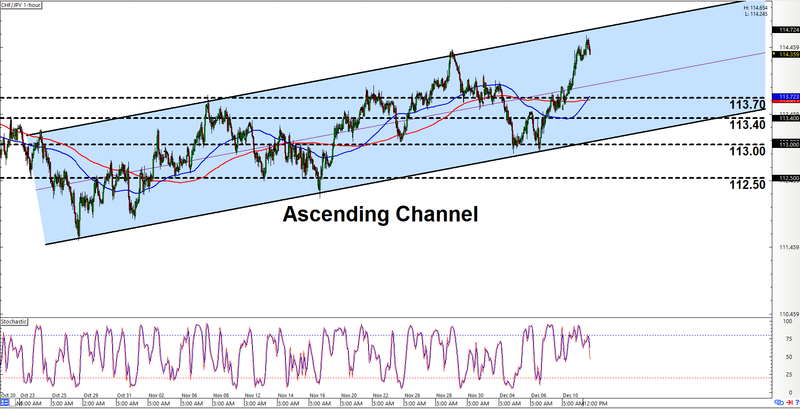 And since there seems to be strong buying interest at 1.8280, and since stochastic is about to hit oversold territory, today’s play is therefore to wait for the pair to pull back towards the channel’s resistance, which should be somewhere around the area of interest at 1.8410. As always, there’s a slid chance that the channel may get invalidated, so be careful if a topside breakout happens and 1.8540 is cleared on strong bullish momentum. At any rate, y’all just make sure to practice proper risk management as always, a’ight?